During August and September 2013 my boyfriend and I spent six weeks travelling around Thailand, Vietnam and Cambodia mostly by bus. Here I discuss our experience of land border crossings and which bus companies we used throughout these countries. The main companies to use in Thailand are the cheap government buses or the more expensive VIP buses. Having said that we made the mistake of booking a bus through our hotel – our stuff was safe but we were herded around like cattle the whole time. As recommended by my trusted guidebook we opted to use the government buses to head east out of Bangkok. They were cheap and you knew exactly what you were getting. There are three bus terminals located in Bangkok: the east terminal in Ekamai; the north/northeast terminal in Mo Chit; and the southern terminal in Sai Tai Mai. Each station links to different places in Thailand and go in exactly the direction named. 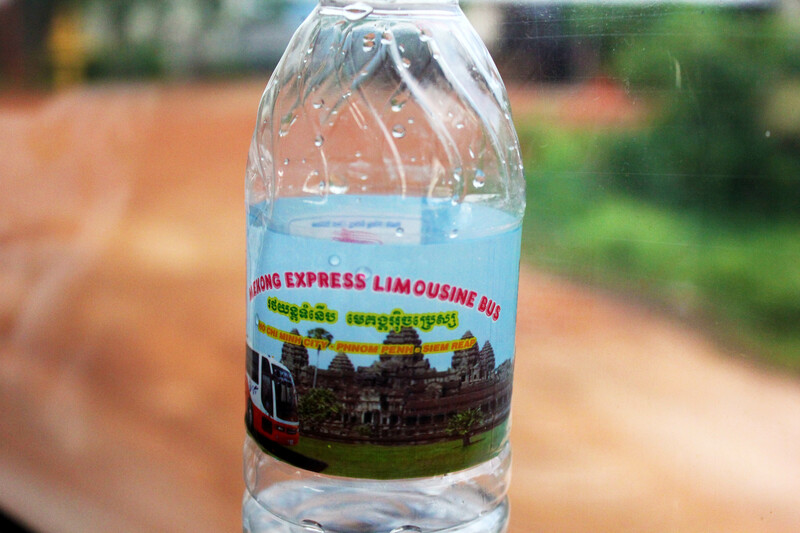 We headed out of the eastern terminal toward Trat on our first bus ride; it was a big coach affair where they provided us with a bottle of water each. There was an onboard toilet for use, even if it did smell horrible! The bus was dirty (ants were crawling by the side of my seat) but it got us to our destination with no problems and the staff knew basic English. We used this service again to get to the Cambodian border; this time in a minibus which was a lot cleaner! However NO buses cross the border at Hat Lek/Cham Yeam, so don’t believe anyone who tells you otherwise! The only other bus we took in Thailand was between Ao Nang beach in Krabi and Patong beach in Phuket. Instead of taking taxis to and from the towns to get the government bus, we decided to book a minibus through the hotel to avoid the hassle and extra taxi fees. WHAT A MISTAKE it was to ignore our own advice of taking the government buses. We were shipped around like cattle, picked up from the hotel only to be dropped at the depot and told to wait. We were piled on to another mini bus over an hour later with broken air con and some very unpleasant slightly drunk old German men. It was a very stressful journey which we could have avoided if we had taken the government bus. The roads in Cambodia are in a terrible condition with half of our first journey being on a mud road! The drivers even when on a night shift wake at their normal 5am for the day, thus tending to fall asleep behind the wheel. That and many other horror stories I heard put me off any night buses around this country. All the buses I did take had no problems and I would use all the companies again. 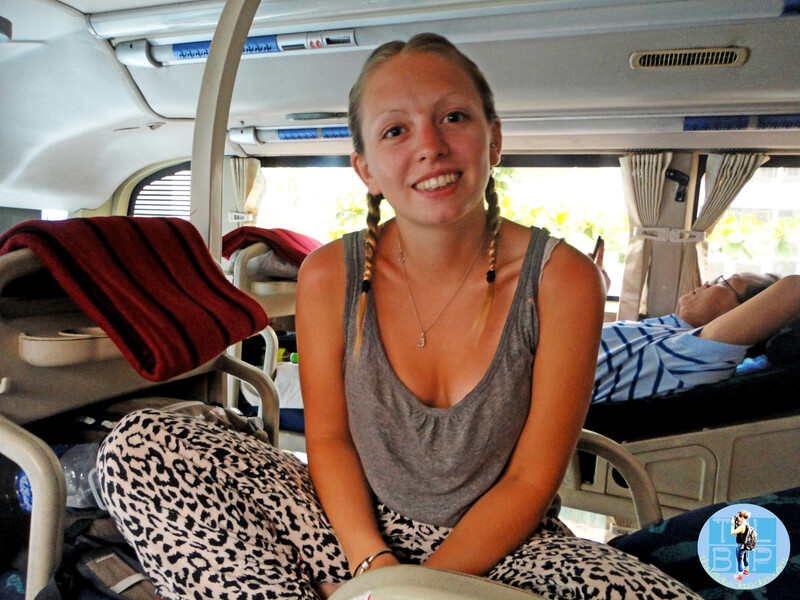 Koh Kong to Sihanoukville – This bus was booked through our guesthouse, Paddy’s – we had heard he was an honest and reliable man so we put our trust in him when booking this bus. They had some bad reviews on the internet but these were all concerning their night buses. It was basic and cheap but on schedule when it came to leaving and arriving. My only complaint was they had no toilet onboard and only stopped once for a bathroom break! Again they provided us with a bottle of water each and played movies (in Khmer). Our luggage was safe, the driving was as safe as it could be for the non-existent roads and I would use them again. The one Cambodian company we used twice. From Sihanoukville to Siem Reap and then Phnom Penh to Vietnam. They are more pricey than the other companies however boast VIP buses with Wi-Fi (although not fully working on all buses), water and a snack for everyone. They give an explanation of the journey in Khmer and English so you always know what is going on and how long each stop will be. They do free pick up but it is never at the time quoted. They made our Cambodia-Vietnam crossing very smooth. The cheapest of the cheap but still a reliable company. We travelled from Siem Reap to Phnom Penh with them and had an easy journey. This included free pick up from our hostel – although as usual it was later than the quoted time. You were not given water, nor did the bus have a toilet but they made frequent toilet stops. The only negative was it took a lot longer than the scheduled time! They run an open tour bus system in Vietnam and the original company of that ticket is the Sinh Café – which recently changed names due to so many fake companies impersonating them! We purchased our ticket in Saigon and paid US$40 for a four stop ticket Saigon>Nha Trang>Hoi An>Hue>Hanoi. The company were reliable and our possessions were safe even on the overnight buses. These were the only overnight buses we took and the safety and comfort is not high priority, however it got us there and saved us the price of a train. Overland border crossings can be scary, especially when you hear about the numerous scams that take place on the edge of borders. Before we did our first Asia land border crossing I read up on everything I could find online about our chosen crossing. Some things were just common sense, others were really useful to know. Here is a rundown of my two land border crossing experiences in Asia. You are likely to use this border crossing if you are visiting the islands of Ko Samet or Ko Chang. 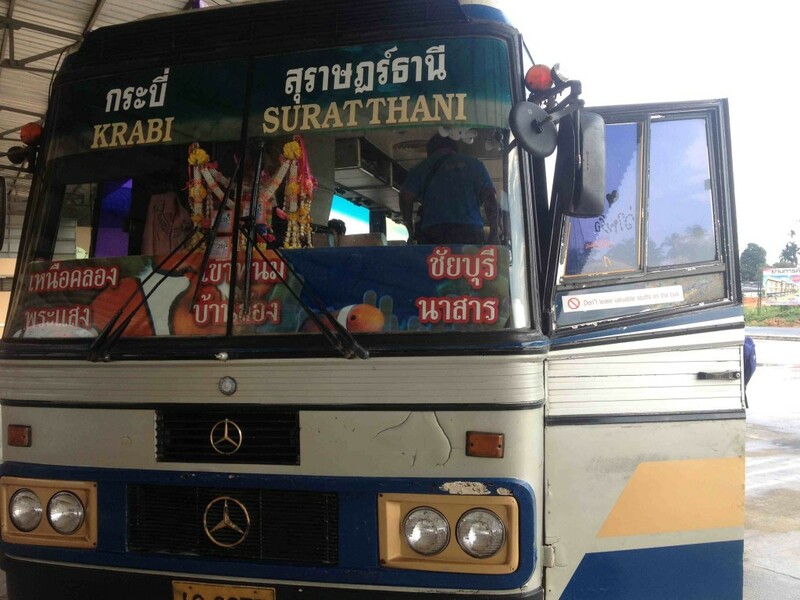 We took a government bus to the border for 120B each from Trat – remember if a company says they’ll take you over the border in to Cambodia they are probably trying to scam you – buses do not cross this border! Once at the crossing we collected our bags from the bus – making sure I got hold of my bags the second I was reunited with them. A common scam is for someone else to carry your bags for you and then demand money from you. We got stamped out of Thailand and walked through no-man’s-land for a hundred or so yards before hitting Cambodia. To the left hand side is the immigration office. Ignore the little stand outside the building. They are trying to get you to complete a medical form – this will cost money and you certainly do not need it for your visa. Pick up a visa form and fill it in – make sure you do it yourself as another way to make money here is filling out foreigners’ forms and demanding money. Once completed head into the little room, pay your money and get your visa. I had read any price between 800B – 1200B so I was happy paying 1000B (1100B if you don’t have your own photo). I probably could have haggled it down to 800B but I just wanted the process complete as quickly as possible. Chances are if you pay less they will make you hang around waiting. Once the visa is complete, head outside and get stamped into the country. They will take finger print scans from you and then you are done. The next challenge is finding a tuk-tuk to take you the 10k to Koh Rong. There are plenty of car taxis which want 400B for the journey; we haggled and haggled but they lowest they would go was 260B. We walked on and as if by magic a tuk-tuk appeared and a much cheaper ride was secured! Overall the border was simple and straightforward because I had done my research and knew what to expect and what to look out for. This border was a completely different story as we already had our visas for Vietnam – I’ll write about obtaining one in another post. All we did was follow our Mekong Express bus guide through the different sections – he collected our passports in on several occasions but each time they were safe and we got through the border without a single issue. I feel this was all because we already had our visa and therefore no money changed hands. People are not greedy and do not try and scam you every few steps. If you are doing a land crossing in Asia, make sure you read up on the current scams, keep hold of your bags tightly and fill all your own paperwork out. Have you crossed these borders and had a different experience? What tips would you give others? I am Vietnamese, and when I crossed the border into Cambodia last July, the bus guide also collected our passports then gave them back safely. It was a bit peculiar, though, that the custom officer asked us (Vietnamese citizens) to pay 1US $ which seems not to appear in the law. Look forward to reading more from your experience. Hi, I’m doing my very first land border tomorrow (Thailand -Hat Lek/Cambodia – Cham Yeam). So as you can imagine I’m currently goggling frantically trying to be as prepared as possible for the ‘experience’! Thanks for the advice and extra thanks for the photo!!! No worries! Just don’t listen to the scammers, keep tight hold of your bags and be confident.